We want to build our Facebook followers and have some fun doing it. Building New or Renovating Soon?? Here's your chance to put ONE THOUSAND big ones towards your next project! 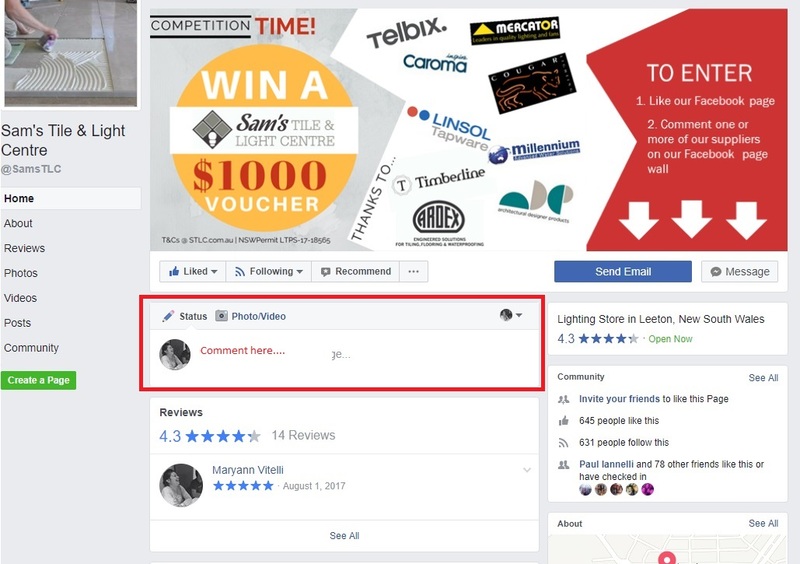 We love to be social and we also love the brands we sell, so we have created a way for you to get to know our brands and to WIN a wooping $1000 voucher to spend at STLC!